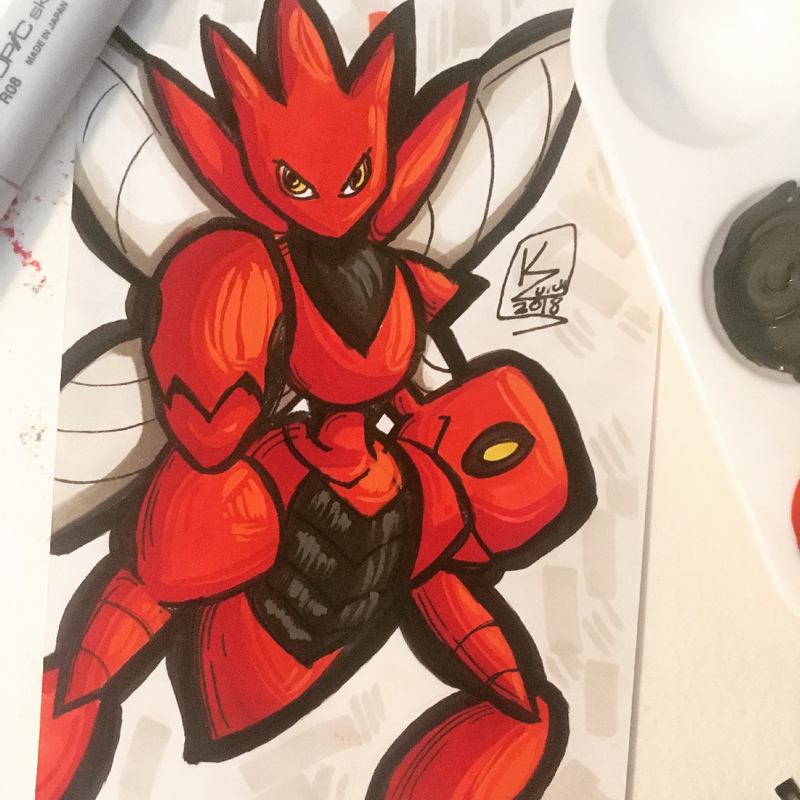 Smack Jeeves Forums • View topic - kzuich's Art Thread! 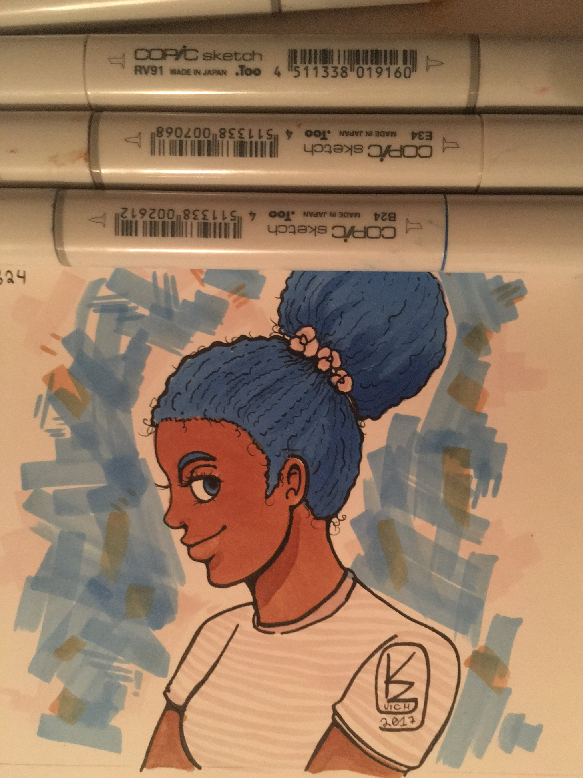 I like to work traditionally- mostly with Copics, sometimes watercolor brushpens, and Copic multiliners. 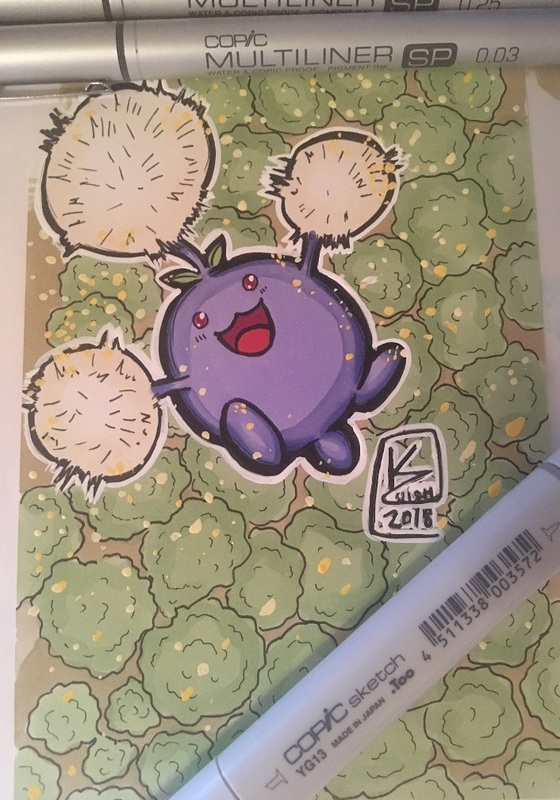 I just wanted to post some little artworks I've done because I enjoy sharing them with people! Interestingly, although I -much- prefer to do illustrations in black and white, I actually have a lot of color pieces to share! This was a style test I did with Blue and red colored leads, and Copic Multiliner SP. It's for an upcoming comic project. 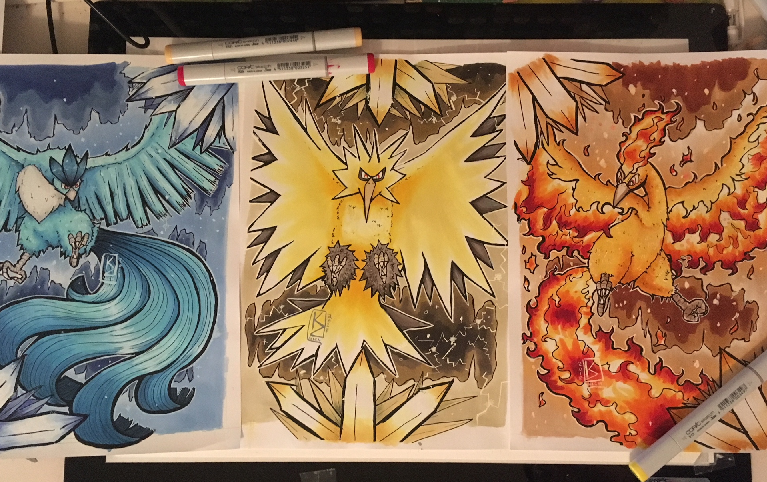 Speaking of color...Here are some Pokemon pieces I did last year with Copic markers. 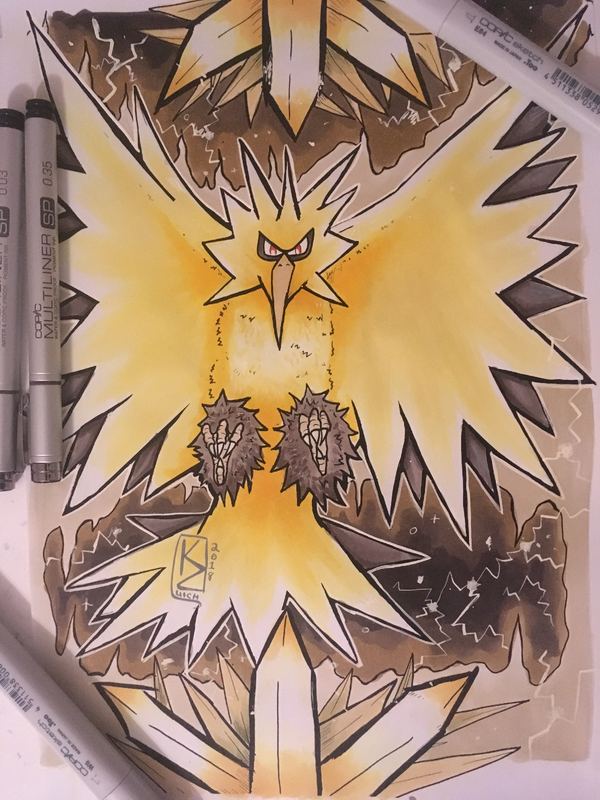 I was trying out a less conventional technique to color, check them out! An image of Pear I did in this style. Nowadays, I like to do flatter colors and cel-shaded drawings. I usually put down a layer of color, allow it to dry completely, then lay down the darker colors. 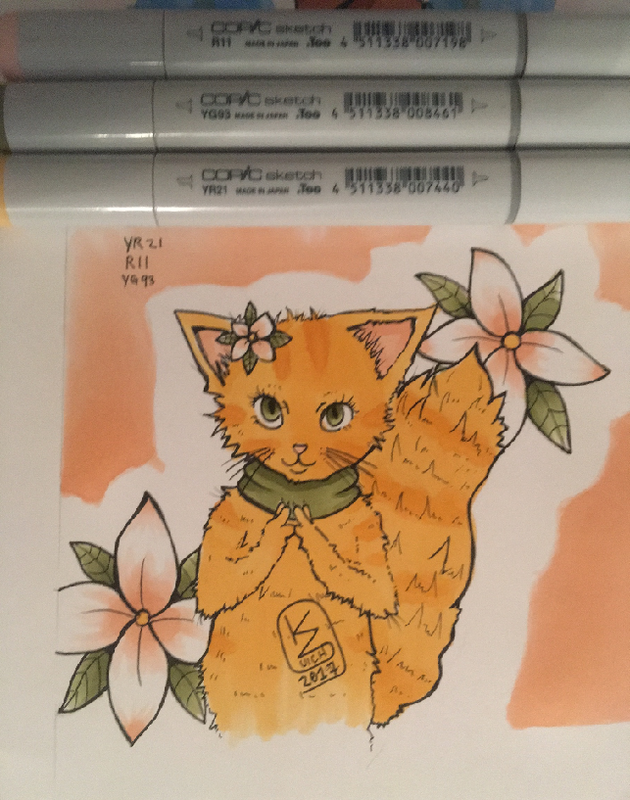 Alcohol markers like to blend together when you use them when the previous layer is still wet, so I make sure the ink's totally dry, otherwise the drawings look more blended out. Pear, the Olibots, and Fitbot all together! And the last for now, a drawing of Mimikyu! Sort of a cel-shaded style, but with hatching. Hope you guys enjoy! I'll be back with more! 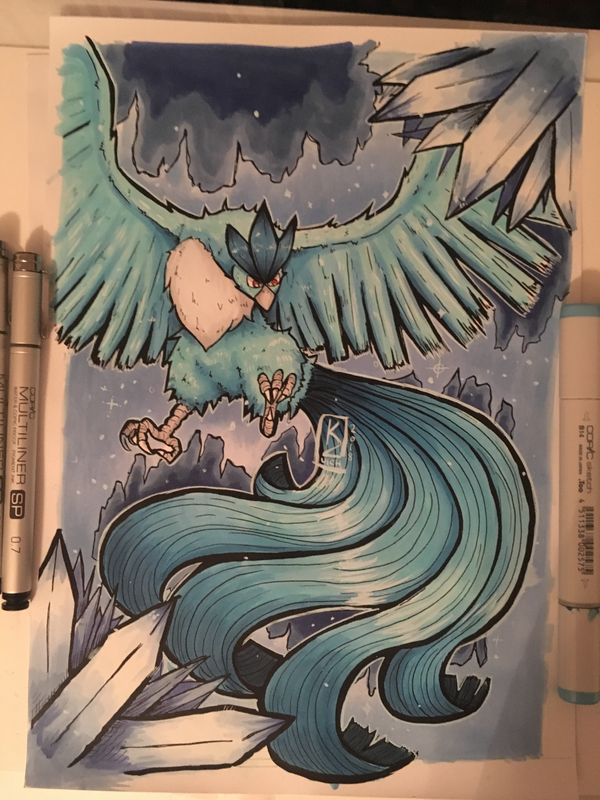 Hey, all, I'm back again with some new little pictures! Check 'em out! Then, of course, some cute art featuring my little robotic buddy, Pear! Nice colours! I especially like the cream/orange/green kitty. On the portrait one, the facial features feel off because their positions are a bit odd. The eye looks very low on the face relative to the nose, and the mouth line goes a bit too far back. Even when a person smiles widely, because of foreshortening, the mouth isn't that big in profile, it reaches to maaaybe just around the middle of the eye (relative to the orientation of the head, i.e. if the character were looking directly forward rather than down). On a mild grin where the cheeks don't get puffed out and there are no smile lines, like in this drawing, the mouth should just barely reach under the eye. Ref photo, in case I explained that poorly. "Interested in time travel? Meet here last Thursday, 7 pm." I can't believe I never posted these here, tbh. 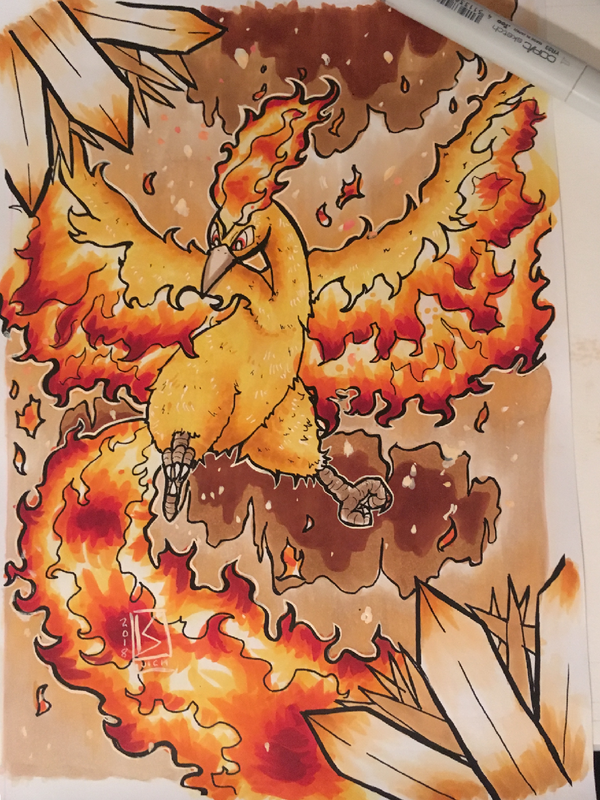 Drawing that fire on Moltres was so much fun. I did these pieces on a new kind of paper and am so in love. This last one was a test to see if I could mimic my digital coloring style using traditional means. The answer was yes, but to be quite honest, I'm not sure if I love this style or not. What do you all think? 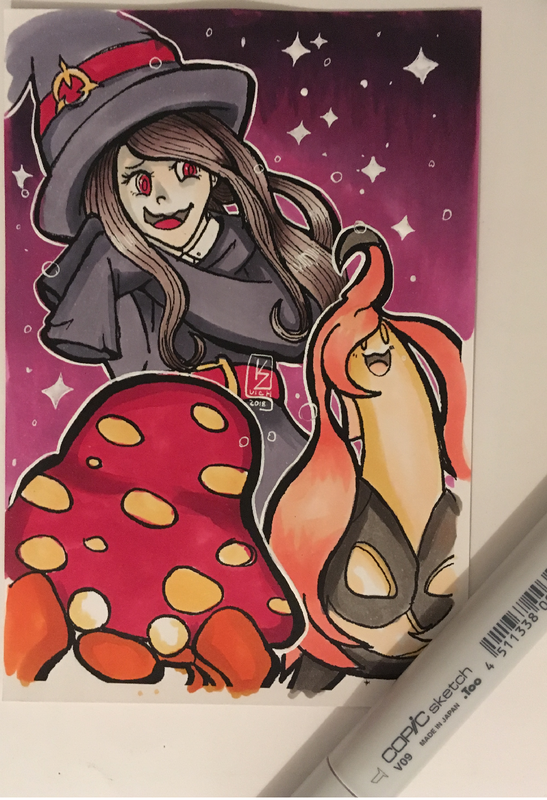 I think my OP links got borked, so I gotta fix those, but for now, I hope you guys enjoy my new art! Loving the birds - good stuff - they look really cool lined up together! MarMarTche wrote: Loving the birds - good stuff - they look really cool lined up together! Thank you! I do, too! I hope I can do mini prints of them or something. Not quite sure yet.